OMG Posters! 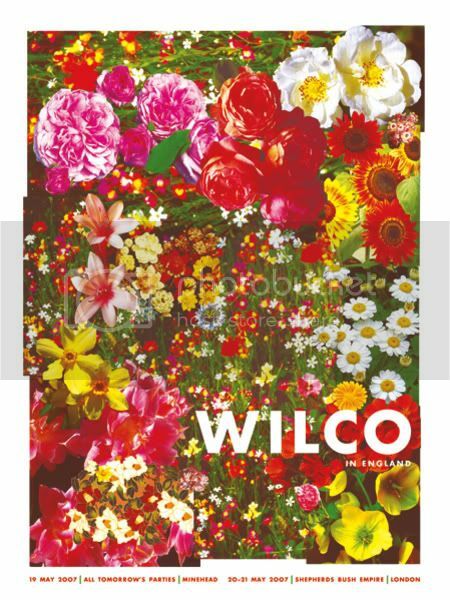 » Archive Wilco Poster by Nate Duval - OMG Posters! Sometimes screenprints are truly amazing. Take this poster for example. It is 3 colors: Cyan, yellow, and magenta. I have alot of respect for someone that can design a screenprint with 3 colors and have it turn out looking like 20. These are available in the Gigposters Classifieds for a mere $25 directly from Nate. Grab one if you can, this is a dope poster. that is awesome. maximum respect! it was designed in photoshop and converted to a cmyk halftone, he just didnt print the black.